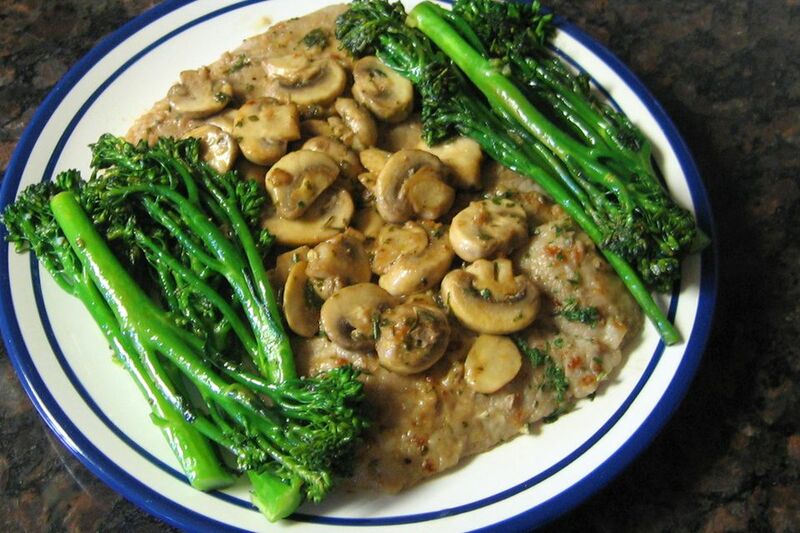 Veal is quickly sauteed with mushrooms, lemon juice, garlic, and wine, along with rosemary and parsley. Serve this quick and easy veal dish with rice, potatoes, or noodles. Heat olive oil and 2 tablespoons of the butter in a skillet over medium heat. Sprinkle veal with salt and pepper; dust lightly with flour. Sauté veal quickly, turning once. Remove veal from pan when browned. Add remaining 1 tablespoon butter; sauté mushrooms until tender and browned. Add the veal back to the pan along with garlic, lemon juice and zest, herbs, and wine. Turn to coat; cover skillet and simmer for about 3 to 4 minutes. Arrange veal on a platter; spoon mushrooms and pan drippings over the veal.